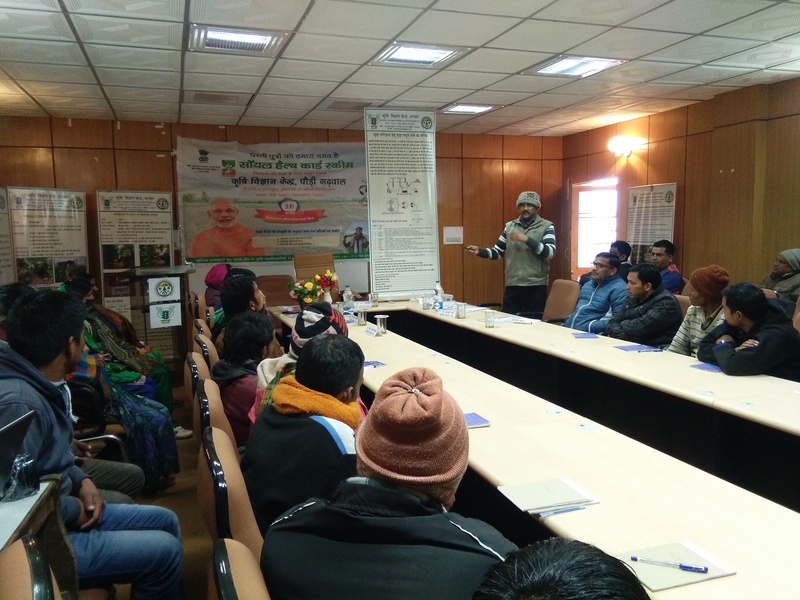 World Soil Day was celebrated at KVK, Pauri Garhwal on 05.12.2018. The event was inaugurated by chief guest Dr. R.S. Chauhan. Dr. Sandeep Upadhyay, Dr. A.S. Bisht, Dr. S. S. Bisht, Dr. S.C. Pant, Er. Tejas Ashok Boshle, Sh. Anshuman Singh, Dr. Rashmi Limbu, farmers from Thalisain and Pabou block along KVK staff members attended the programme. 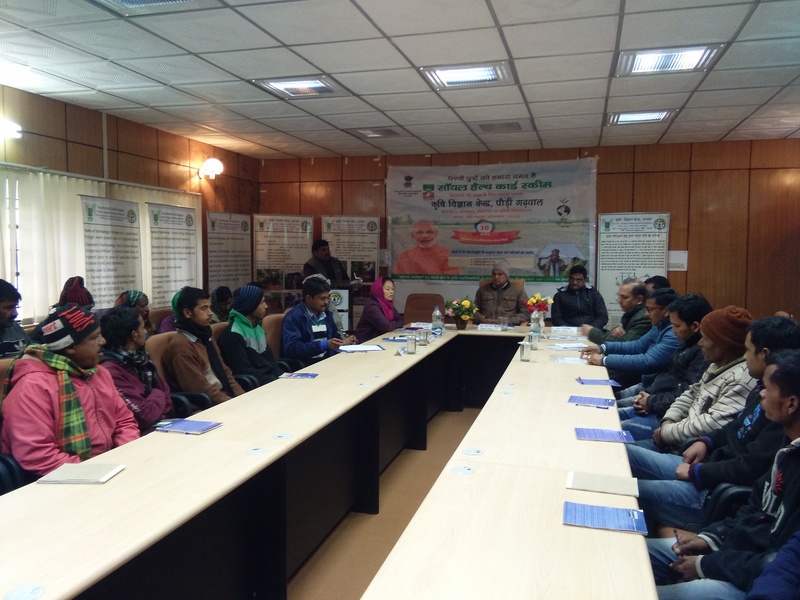 Experts deliberated about the importance of soil health for better productivity, soil testing, importance of soil health cards, organic farming, water and soil conservation. A film show on world soil day was shown to the farmers.Soil health cards were distributed during the programm. A stall was also put up for the farmers in which samples of biofertilizers and organic manure were exhibited.Farmer’s scientist interaction was also conducted in which queries were answered by experts.At the end of the program field visit for farmers was conducted to various blocks in the campus.